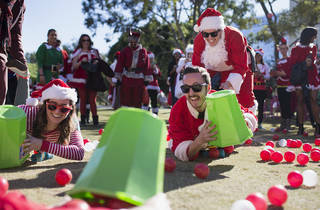 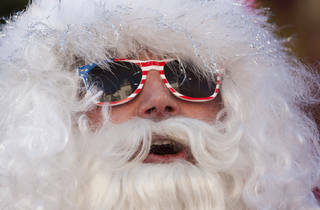 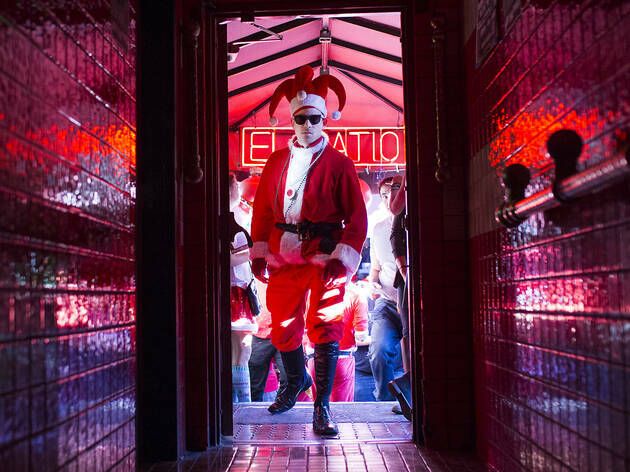 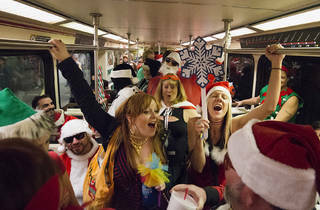 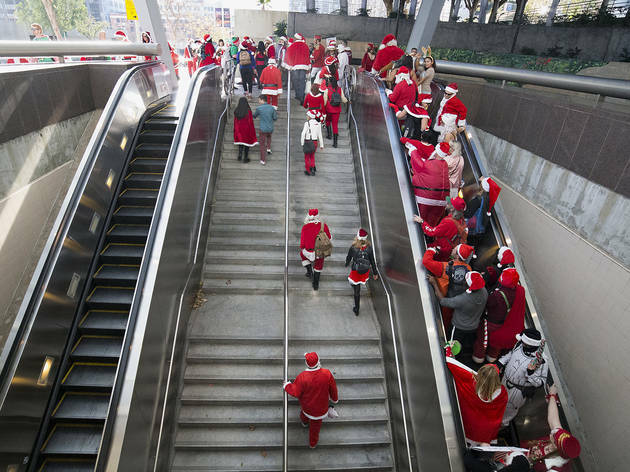 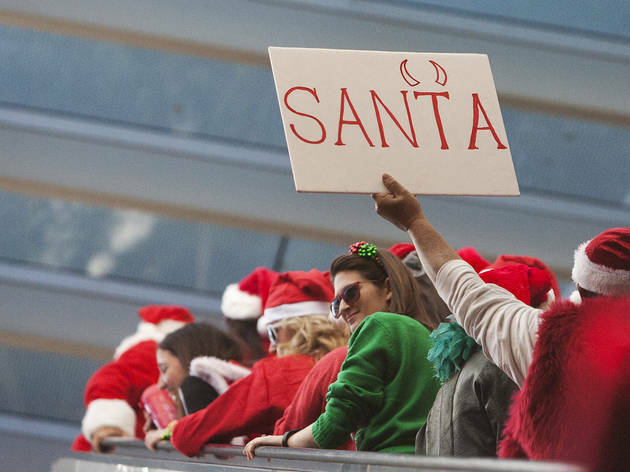 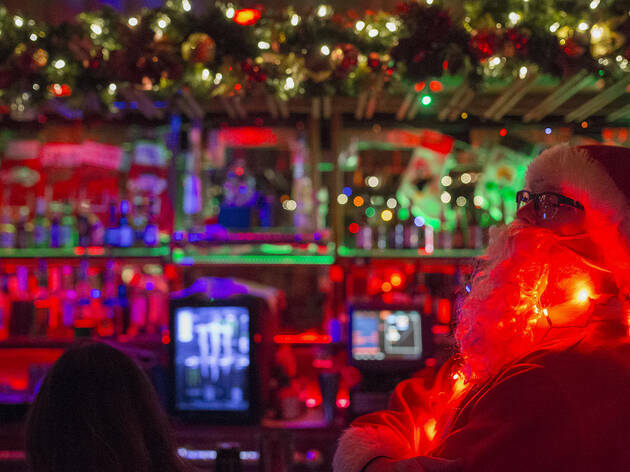 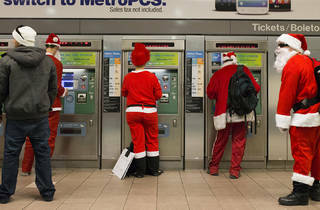 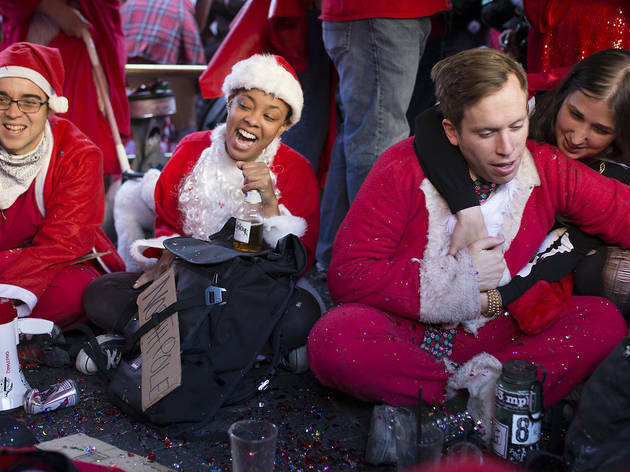 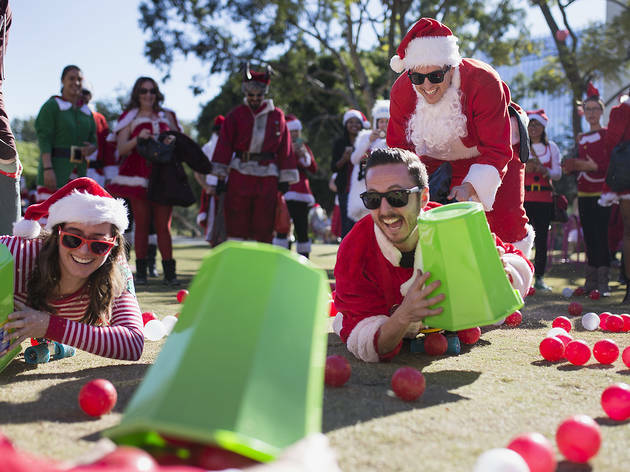 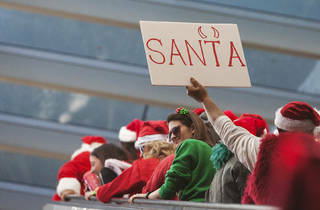 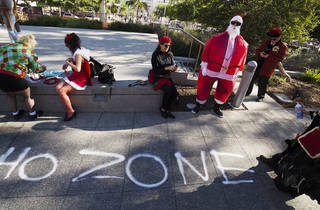 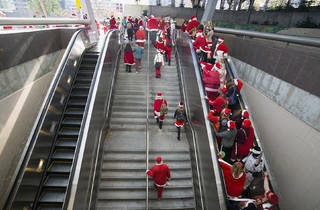 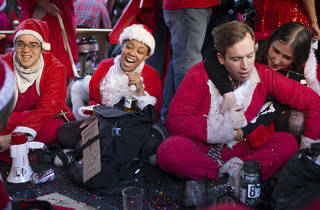 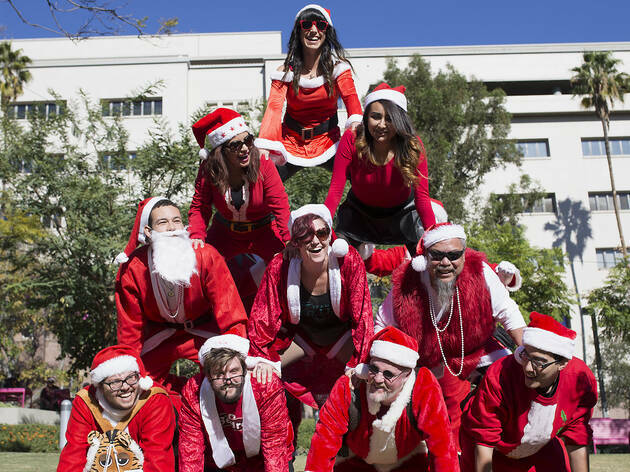 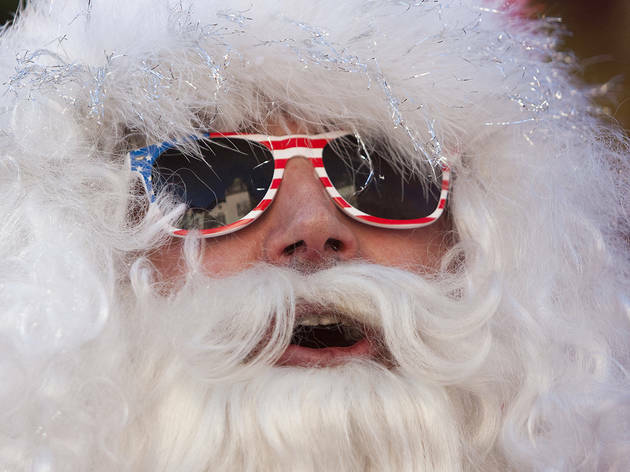 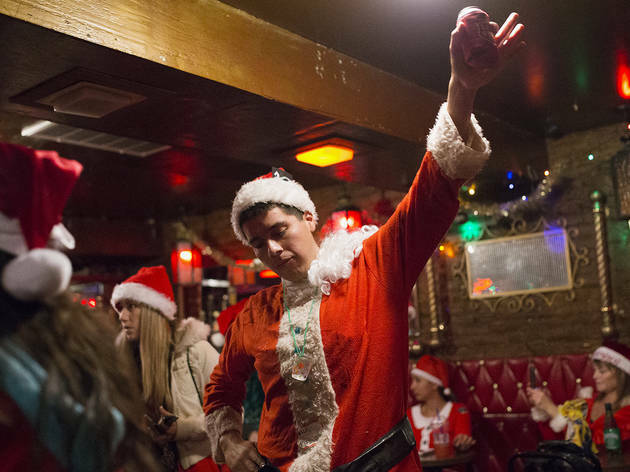 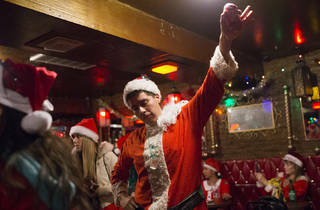 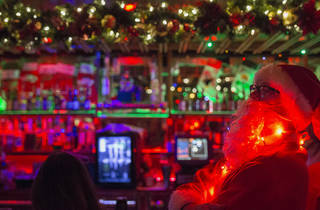 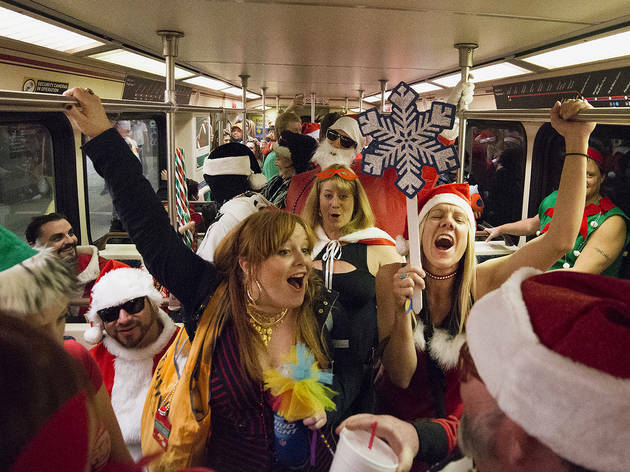 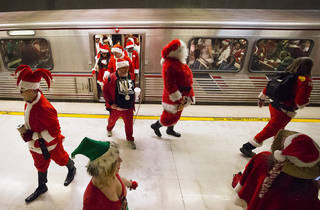 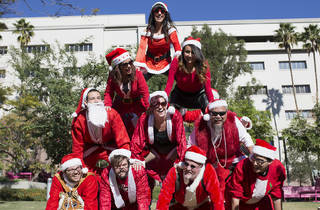 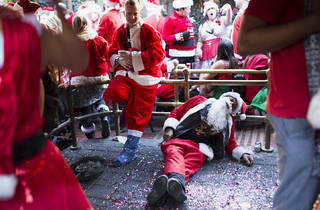 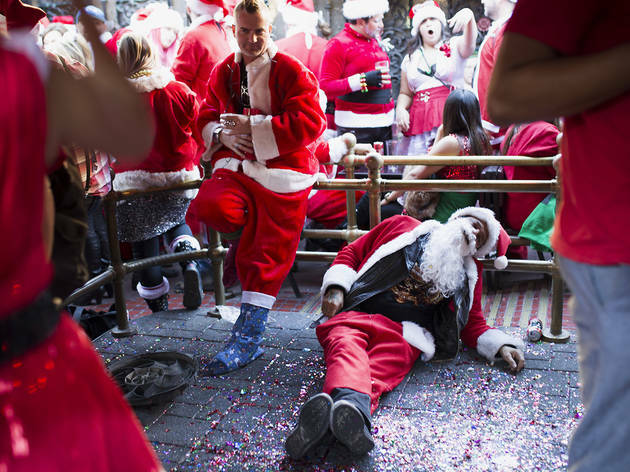 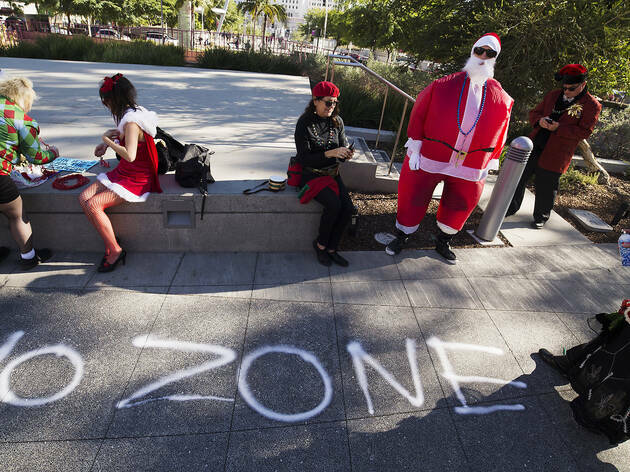 Every year during the holidays, Los Angeles is treated to an influx of Santa-garbed partiers bar crawling their way across Downtown Los Angeles and the east side. 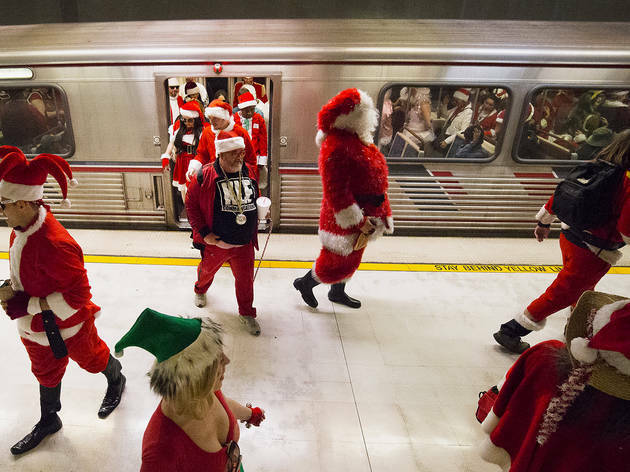 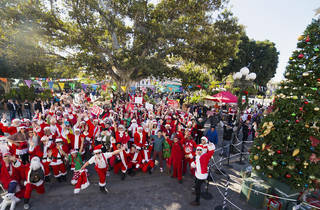 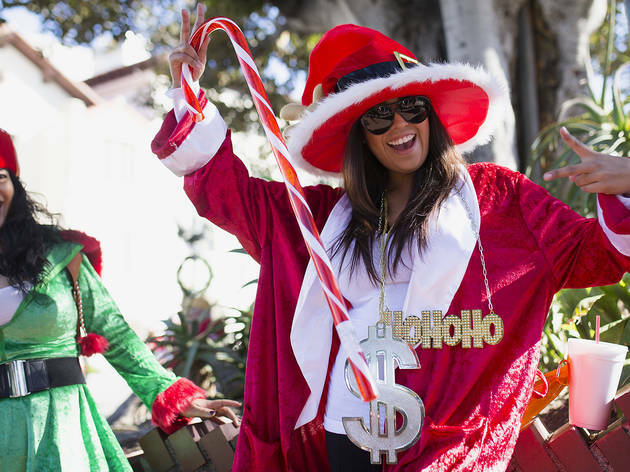 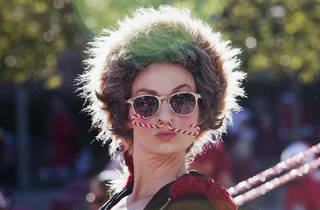 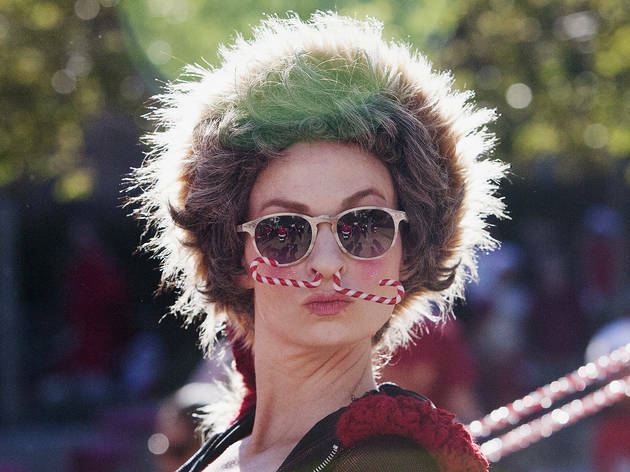 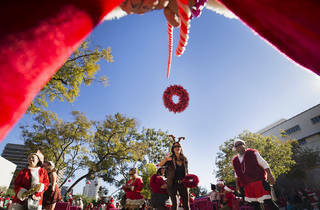 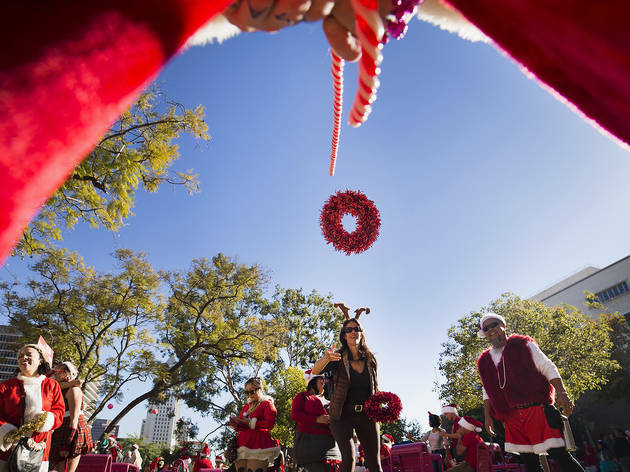 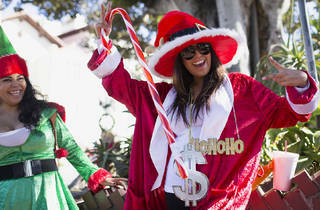 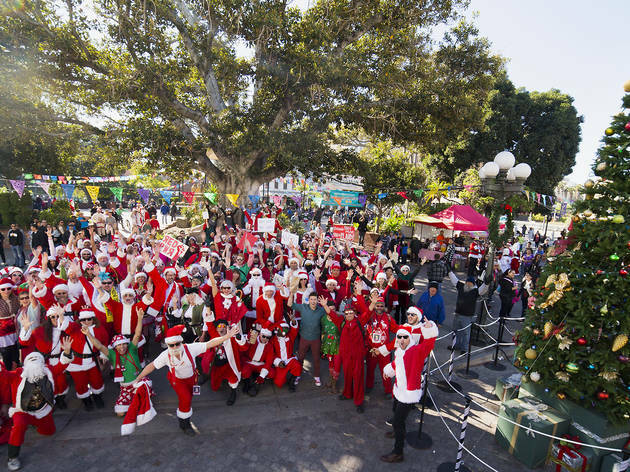 For SantaCon 2015, the revelers in red kicked off the festivities at 11am on Olvera Street before heading onto metro to hop around town, spreading cheer and a tad bit of anarchy, or SANTArchy. 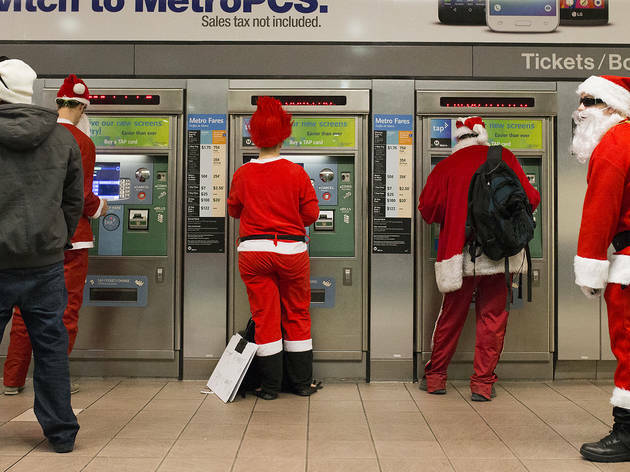 We've already dropped our Santa costumes off at the dry cleaners and can't wait for next year.